Our Graduate Recruitment and Development Forum 2016, on 25<sup>th</sup> February, at Hilton Hotel, Canary Wharf, London has a new addition to the speaker line-up, Alison Heron from GSK. 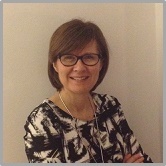 Alison Heron is the global university relations director at GSK. Our Graduate Recruitment and Development Forum 2016, on 25th February, at Hilton Hotel, Canary Wharf, London has a new addition to the speaker line-up, Alison Heron from GSK. In 2005 Alison joined KPMG to lead the recruitment marketing team and was responsible for both graduate and experienced hire marketing working on everything from websites to campus sessions, from employee referral programmes to virtual events. In 2014 Alison became the global university relations director at GSK. Alison’s session will examine how to develop a global graduate brand proposition. Other sessions on the day will be covering global graduate management and rotation practices, latest strategies in social media and the new tech savvy generation. Develop better partnerships with universities to improve the employ ability of graduates. Visit the event page to find out more about Alison, along with other expert speakers that will be speaking at the Graduate Recruitment and Development Forum 2016, and book your place today.